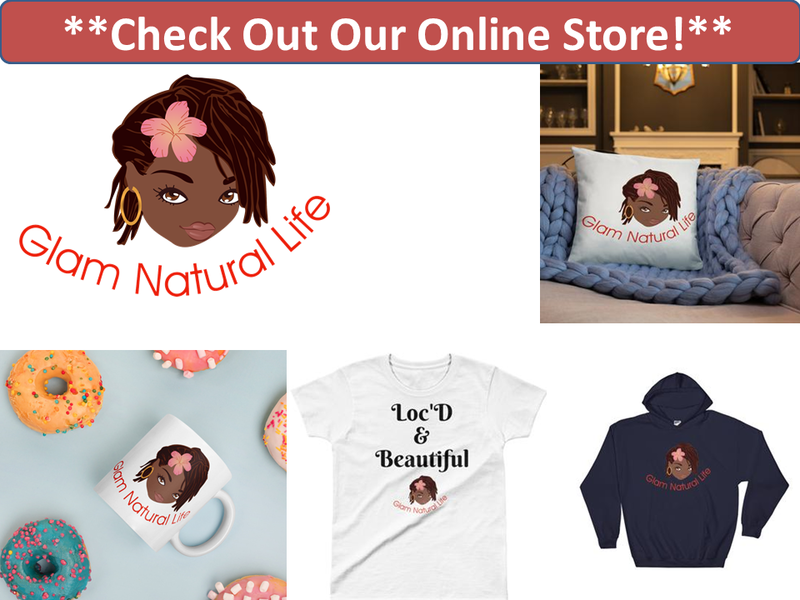 More and more women are going natural for the wrong reasons. A lot of women are going natural because they see natural hair women rocking their Fro's and decide 'I want my hair to look like that; I will go natural'. However these are the women who have the most problems in their natural hair journey. You have to go natural because you organically want to accept and love your hair and yourself as you are. You have to begin your journey with no expectations and enjoy the path your hair takes you on. Learn your own hair. Know what it likes. Know what styles your can do and that suits you. The moment you do your big chop and expect a certain look is the moment you dug a big hole for yourself. I am constantly getting messages and comments on the struggles women are having in their natural hair journey. 80% of the time these issues are style related. Some girls see Instagram pics of my braid outs and upset that they cannot get a braid out to look like that. Or, a twist out won't look 'good' like the other natural hair women they see on social media. The problem is women are not completely accepting themselves as who they are. 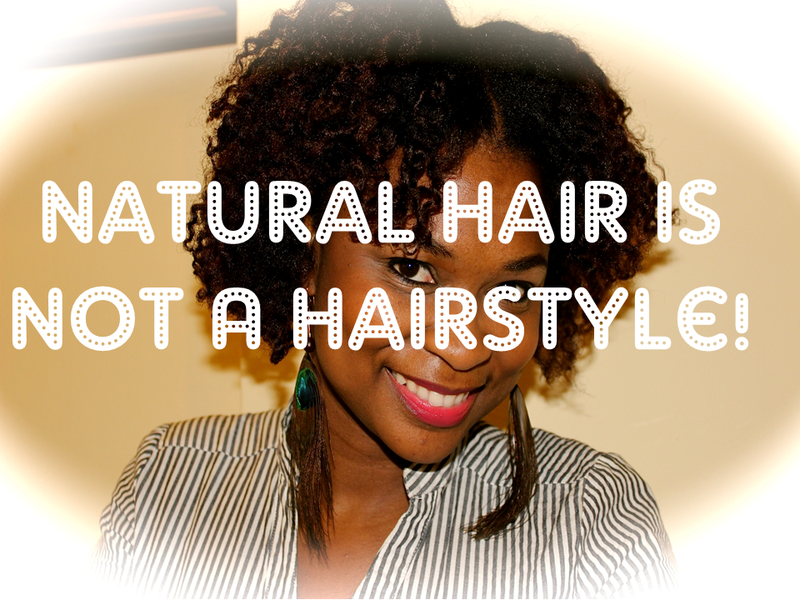 Natural hair is not a hair style. Natural hair is simply natural hair. Lol! Plain and simple. I personally have not had a bad natural hair journey because I let my hair be Shelly's hair and not mold it into someone else's. My hair is unique to me. My natural hair is not a hair style. It is a lifestyle change for me. It is me choosing to have healthy hair and not choosing to have another girl's look. So I say to all you girls who have transitioned and having problems with your hair not looking the way you think it should: accept your hair for what it is. Natural hair is not a hair style. To my girls who are thinking of going natural or who are transitioning: do not have expectations. Start your journey and go on your own ride to healthy hair. Natural hair is not a hair style. 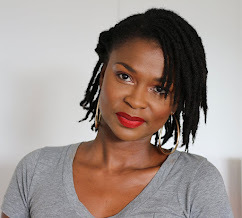 Tell me, how has your natural hair journey been so far? Share with us. I am truly enjoying my journey. I big chopped about a month ago and I just let my hair be what it is. Though there are a few natural bloggers and you tubers out there whose hair is just dreamy, I know that my hair just isn't their hair! I am falling in love with my OWN hair. I hope that my natural hair journey continues to be a joy, but even when it's a struggle, I'll remind myself that the whole point is to let my hair be MY hair and not try to make it into somebody else's hair! oooh girl i am in love with you now. BTW, Your GORGE! Enjoy every stage of your journey. Its yours. I love that you are enjoying your journey. Big Hug!! !